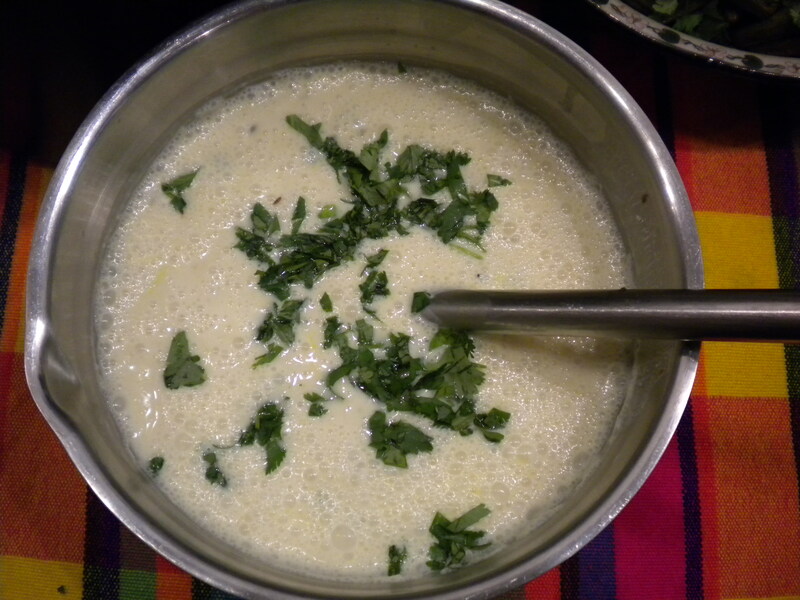 Features: Soy yogurt in place of dairy yogurt to accompany khichdi. In a separate bowl mix chick pea flour in 4 Tbsp water. Remove lumps by pressing with a spoon, and if needed, strain through a strainer. Add to the pot with soy yogurt. If curry leaves are fresh, also add them to the oil and spice mixture. If not add them directly to the pot with yogurt and chick pea flour mixture. Pour over Khichdi and enjoy.